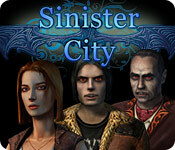 Sinister City is rated 3.4 out of 5 by 16. Rated 3 out of 5 by RobertoComoEsta from So-so game This is largely a HOG. Graphics and storyline are cheesy. Rated 3 out of 5 by day_day8 from fun in its simplicity game was fun and some things were well written my kids enjoyed the story and giggled during the end credits. some things were in plain site while others were well hidden. bought it in a triple game pack so it is not really worth buying unless other games come with it. the characters were interesting and the tasks were point blank and easy to figure out. All in all a fun family game for younger generations. Rated 3 out of 5 by sartasia from Ah well...the credits were entertaining This is not "scary" in any sense of the word and I don't believe it was meant to be. This would fall under the catagory of RPG/HOG lite. Extremely lite. Loaded and ran fine for me with no problems. Option of both challenge and basic mode. I played challenge level with no sparkles but there are sparkles/clues in the basic level. 3rd person perspective. Very linear. Point A to point B in a given area depending on the task. Mini games, while playing into the story line, are simple. Didn't pay any attention to the music so it must be unobtrusive. Graphics are clear for the most part. There is a small amount of interaction as you move some things to find others and select people to talk to. Most objects to find are multiple identical items. No penalty for clicking. If you click on a location, i.e. 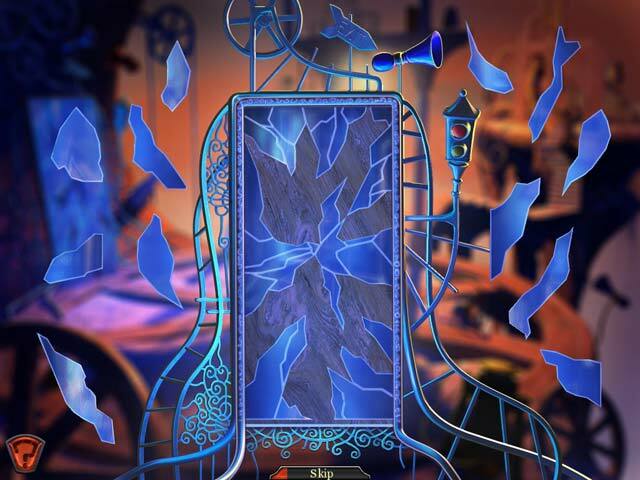 a door, the character auto goes there. Story line is suppose to be humorous. To some it may be. Very short game. For me, 1.5 hours and that was not rushing or skipping. Hmm..well I bought it thinking the humor was interesting in the demo portion. It never improved. Cute concept that never really fleshed out. And the over all game was extremly easy. End result for me was boredom. Although I did get a smile at the action during the closing credits. This would be a great game for someone who was just discovering this genre or was on the young side. Probably on the whole wished I'd saved the credit. Rated 2 out of 5 by englishb from Boring and slow I fell asleep playing this. Slow and the story line was boring. I like fast playing games with a good story line. This falls very short. Graphics are so, so. But its really what you like that matters. Hope you enjoy it, but I couldn't. Rated 2 out of 5 by leilanibz from Must every game have an occult undertone? 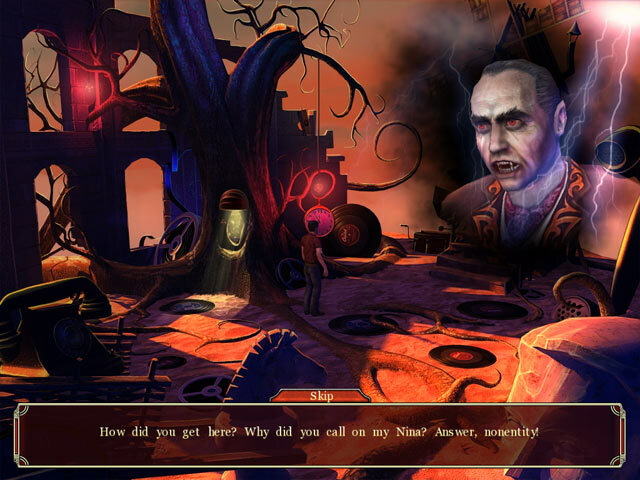 I beta tested this game, and as I played it, I remember thinking, 'Oh great, another occult game.' Hey, game developers? Not all of us are into ghosts, demons, and vampires. Some of us think they are icky. The mechanics are standard HOG with adventure aspects. Nothing really stood out, other than the icky storyline. This could have been a good game if not for the poor choice of storyline. I do not recommend it. Rated 1 out of 5 by bluesruley2k from Click click click click.... This game is ridiculous! Just a bunch of random clicking on totally irrelevant objects in hopes that you might actually click on something that helps you before the hint button recharges! 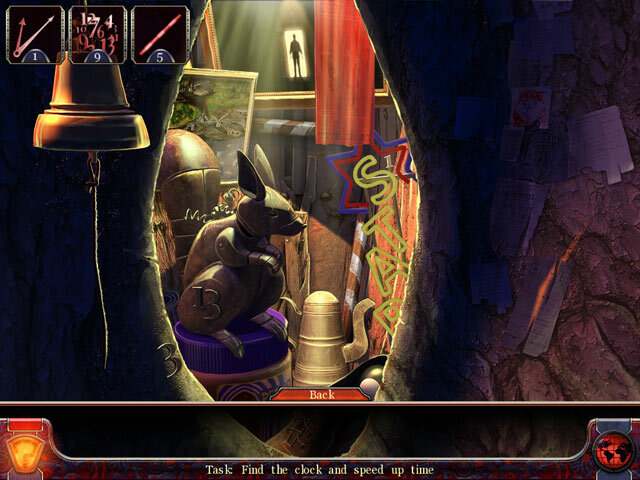 (even more so than most other hidden object games!) There is NO rhyme or reason to any of the actual game play. As I said...just click click click and hope for the best! Absolutely terrible game.